Welcome to Mailbox Monday (my version ;) the weekly meme created by Marcia from A girl and her books (formerly The Printed Page) where book lovers share the titles they received for review, purchased, or otherwise obtained over the past week. Mailbox Monday is now on tour, and this month’s host is Amused by Books. Today I want to share with you another excerpt from Louise L. Hay & Cheryl Richardson's newest book, You Can Create An Exceptional Life. Louise offered this sneak peek in her newsletter and this one, combined with last-week's preview, just made it virtually impossible for me to not have this book! I've spent the morning walking around Covent Garden in London. It's an early fall day, and the street performers and artisans are setting up shop preparing for the crowds. I adore London. I love the diversity; the kind and gracious people; and the scrumptious variety of fashion, food, shops, and cafes. Louise and I are here for an event, and we're scheduled to meet in the afternoon to continue our work on this book. I'm so looking forward to it. In the short amount of time we've been meeting, my life has already been affected in such a positive way. I'm more mindful of my thoughts throughout the day, for instance. And the time it takes for me to catch myself when I start ruminating about something unpleasant is getting shorter and shorter. I'm also weighing my choices, both personal and professional, to see whether or not I'll feel good once a decision was made. If it doesn't feel good, no is becoming an automatic response. How wonderful to be growing and learning while writing a book. When I knock on Louise's hotel-room door, she greets me with her sparkling blue eyes and a big smile. I feel instantly welcomed. We chat about the morning and then get down to business. I nestle into a spot on the floor in front of the coffee table, tap on the recorder, and begin our session by asking Louise what's on her mind. "We must teach people how to begin their day," she replies with intense determination. "The first hour of the morning is crucial. How you spend it will determine your experience for the rest of your day." Today I want to share with you a sneak peek into one of my favorite authors, Louise L. Hay, newest book, You Can Create An Exceptional Life. Because of the following preview that Louise gave in her newsletter, I pre-ordered this book and can hardly wait for it to arrive! In this chapter Louise and her co-author, Cheryl Richardson, talk about several habits that need to be dissolved (not broken). Don't Break a Habit - Dissolve It! My husband, Michael, and I are on our way to the Wizarding World of Harry Potter in Orlando, Florida, with our good friend Ilene. The three of us are attending a conference in the area over the weekend, which will also allow me the chance to meet with Louise. We decided to sneak off and spend the day entertaining our inner kids before the conference begins. The drive has taken much longer than we'd anticipated, and we are almost out of gas—literally and emotionally. We also got a late start after waiting for the rental-car paperwork to be finalized, and there are now only a few short hours left before the park closes. When Michael, Ileen, and I finally arrive, we drive through the gated entrance and attempt to follow the directions to the parking lot. The signs are confusing, and my husband and I briefly argue about which way to go. Meet Me On Monday! is a weekly blog party hosted by Java at, Never Growing Old, where she provides five new...get to know you...questions that you can copy and paste into your own Monday post. This is really a fun way to get to know a little bit about yourself and your fellow bloggers! This is also my version of Mailbox Monday in that I wanted to share with you the book giveaways that I have won recently received in my mailbox...nothing makes my day more like getting a package in the mail...woo hoo! 1. What is your favorite food? Does wine count??? Get this party started...The...We're NOT Going to BEA Giveaway! This week the BookExpo America Event is held in New York City where the leading North American publishing event brings you what's new and what's next in book publishing. Many Book Bloggers will be attending and book blogging FOLLOWERS (like me ;) will not be going to the BEA. 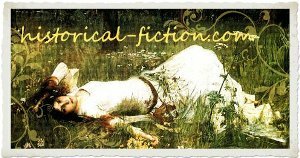 To see the details of the giveaway, please visit Marie's, Lucy's and Arleigh's blogs which list the eight historical fiction books that they are giving away. PLUS the gift certificate worth $15.00 to pick ANY book from The Book Depository that you'd like. PLUS win a special gift from Tartx! The BEA GIVEAWAY and Scavenger Hunt begins RIGHT NOW! Visit and enter at each of these blogs to increase your chances of winning. You can enter once...or three times for all blogs.. but there will only be ONE Winner of the Nine Books. This is my version of Mailbox Monday in that I wanted to share with you the book giveaways that I have won recently received in my mailbox...nothing makes my day more like getting a package in the mail...woo hoo! Now that we have downsized, I'm out of work and my kids no longer need me...I'm clearly lost! I'm sure that I'm not the only blogging, empty nester (or anyone else whom is going through a big change in their lives ;) who feels this way...please tell me it isn't so??? "How many of you have ever been in a job that you just couldn't stand? That you just hated? That you just failed miserably at? That you weren't making in money at? That you thought that if you didn't get out of there you would go arggggggg? Raise you hands!!!"